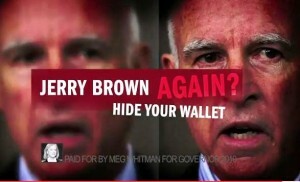 Jerry Brown is your crazy uncle and Meg Whitman is your mean aunt. Unfair, to be sure. But concise and on point.? Pick your poison: The haughty billionaire and self-appointed savior of California who’d casually kick you to the curb if you’re an inconvenience and later deny it ever happened. Or the dedicated but distracted, impulsive and hyperactive political savant who’s always eager to inform you he’s the smartest guy in the room. As they charge into the final two weeks of the campaign, both candidates are seeking to alter those meta-images. eMeg has hopped on a bus to hit every diner and coffee shop she can find across the state, wolfing down cheeseburgers and milk shakes at a heart-stopping rate while promising she’ll get everybody a job; Krusty the General has been focused more on substance, talking incessantly about budgets, taxes and the green job economy (with a dash of hothouse populism on the side). Whitman’s sudden interest in being with the folks, which seems to us something she might have done, oh say, in the summer of 2009, is an effort to repair her badly sagging favorability ratings, as nearly a year of overwhelmingly negative ads worth something north of $100 million seem to have convinced California voters she’s just not a very nice person. Add to that the facts that, a) from the start, very few of her ads have been positive and of those not one has been memorable and b) Her Megness on the natural doesn’t appear to be the kind of person you feel all warm and fuzzy about when she walks in the room, and it’s clear why her strategists have decided their best play is putting her out on the road. We’ll fight them in the air…There’s no question that the strategy team at Camp Whitman believes the race is within the margin of error — a few points either way — depending on what the turnout is. If the Democrats, who have a 13-point registration advantage, show up with 10% more Ds than Rs, Whitman’s in deep yogurt. But at an 8-point spread, it’s a jump ball, they think. Not to mix a metaphor. Meanwhile, on the air, Whitman is running two tracks: a positive ad titled betting sites“Baloney,” that has a warm, talk-to-the-viewer Meg talking about jobs, schools and cutting government; and negatives that savage Brown as weak on the death penalty – with cops in (some sort of) uniform calling him a Rose Bird-loving wuss – and fiercely in favor of betting sitesraising your taxes, stealing your purse and allowing fat, lazy, 55-year-old, retired state workers to eat bonbons and sip champagne. As for Brown, he has spent most of the campaign pretending there isn’t a campaign. When he finally, reluctantly, announced his candidacy, he did one web video and then retreated to his clubhouse headquarters in Oakland, foraying out only to make self-serving weighty announcements connected to his duties as attorney general. Given that a vast swath of the electorate has only dim recollections about his first turn as governor, he has risked being defined in the race by Whitman’s attack ads, which have portrayed him as a wild-eyed socialist, consorting with Castro and out to seize the public treasury on behalf of his labor thug friends. Fortunately for him, his union cronies spent $14 million attacking Whitman all summer long and kept her from breaking away. 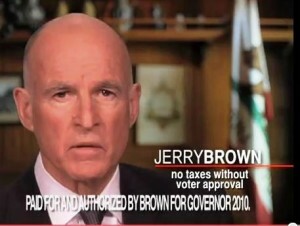 Brown’s own straight-to-the-camera ads, consistently emphasizing “no new taxes without voter approval,” have had a decidedly home-movie quality about them compared to Whitman’s high-gloss spots. That, Brown aides tell us, was intentional – to underscore the essential fault line Krusty hoped to bring to the campaign: Whitman is phony; Brown is authentic. Thus his recent strong emphasis on Meg’s proposal for a capital gains tax cut, which positions him as a fighter for the middle class, his discussions of his green jobs plan and his gauzy recitations of how he just can’t wait to dig into the details of the messed-up budget with his 120 closest friends in the Legilsature (Calbuzz sez: Watch what you wish for, Jerry). The bright kids at Camp Krusty believe their guy has been picking up 1-2 points per week since Labor Day and that the race is now moving firmly in their direction. They think they’ve got both the issues and the character arguments on their side and that she has blown it with Latinos, women and moderates — all key components of a Democratic statewide victory. On the air, Brown has used his cached $20 million to burnish his “knowledge and know-how” to balance the budget, create jobs and make the tough decisions. 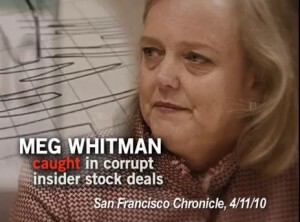 But he’s also running blistering ads that attack Whitman’s character, suggesting (with a polygraph running in the background) that she’s a liar and another citing tough language about Whitman from a San Jose Mercury News endorsement and highlighting the backing from most of California’s major newspapers. 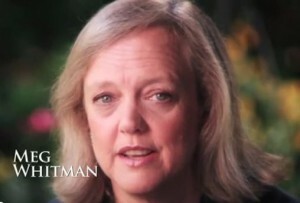 Tuesday morning Team Krusty rolled out still another new ad, this one with clips of Whitman and Gov. Arnold Schwarzenegger making almost identical arguments for how they would lead California. We’ll fight them on the ground…Meanwhile, in the background, the Whitman campaign apparently is operating a major effort to micro-target voters and get them to cast a ballot for Meg. She’s not only got TV ads in Mandarin and Cantonese, but phone banks with people who speak Korean and Farsi, commercial information about voters’ incomes, automobiles and magazines. Bottom line, they’ve got the ability to find a one-eyed, pickup-driving, Basque subscriber to Field & Stream in Atwater, if they think he’ll vote for Whitman. So fancy is their program, that Garry South, the former consultant to Gray Davis (the last Democrat elected governor since Brown), is practically drooling. 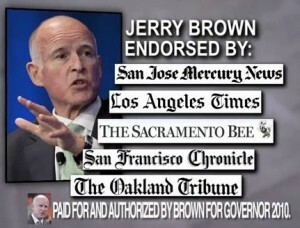 He’s been quoted in the Wall Street Journal and the Washington Post praising Whitman’s voter targeting efforts and slamming the California Democratic Party and its chairman, John Burton for a) giving $3.85 million to Brown and b) not having a decent GOTV effort of its own. We’ll fight them on the web...In 2009 and 2010, CDP Chairman Burton and the Democrats have raised a whopping $21.5 million which has been meticulously divvied into state and federal accounts because of varying limits on contributions, party officials told Calbuzz. Not including training and voter-list sharing and technology disseminated last year, the party is using that $4 million to hunt down a million occasional Democratic voters, get absentee ballots to them, get them to turn them in and on a planned four-day door-to-door walk to find and bring out voters who still haven’t been contacted or convinced to vote, we’re told. The Democrats’ targeting is surely not as elaborate as Whitman’s is purported to be. But it’s a far cry from the flaccid efforts the CDP made when South and Davis were in power in Sacramento. Back then, the governor was raising money for the party just to keep the lights on at headquarters, CDP officials said. Times have changed, they insisted. Moreover, they’ve been assisted by the Democratic National Committee’s Organizing for America, which has given the state party the micro-targeting tools that the Obama campaign used to historic effect in 2008. That’s not to mention the Latino-focused ground operation being managed by labor in Southern California and the Central Valley. Whether GOTV efforts from either side, however, will make much of a dent is hard to predict. In a normal year, most consultants think GOTV can be worth 2-4 percentage points. Whether Whitman’s lavish program can overpower the Democrats’ effort is unclear. But in a close race, every little bit matters. If Whitman’s buy-’n-lie campaign is indicative of how she would manage the state — and if she is successful — she’s gonna have a most miserable four years in Sacramento. Her $150 million effort to win the governor’s race is a disgrace to the elections process, and proof that she lacks even a basic moral foundation. The question is whether Californians will want to punish her in office or in ignominy. Brown sure is making the decision difficult. Every election cycle, the Republicans “announce” they have the most sophisicated voter contact system the world has ever seen. With it, McCain lost Ca by 24.1 points in 2008. This year both Whitman & Fiorina are flawed candidates and very tough to sell at the door to Independents, Latinos or other Democrats. Whether it is a city election or now for Governor, I am always amused at the fake uniforms of the police people in their TV ads. Any dark shirt, shoulder patch, and generic badge will do, eh? I agree with Moderate Democrat. 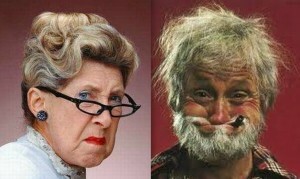 I would have to agree with Ms. Westly about Mr. South’s sour grapes. Though I ran against Mr. Burton for CDP chair, it was not because of any doubt that he could raise money, or because of any lack of commitment on his part to ordinary California voters. I believed then, and now, that his record speaks for itself. There’s always room for improvement. And many of us in the rank and file will continue to press for it, just as we continue to ask it of our elected officials. We wouldn’t be doing our jobs as representatives of local Democrats if we didn’t. But Mr. South is full of hot air. And if he thinks this is a good way to get a new gig, I think he’s sadly mistaken. 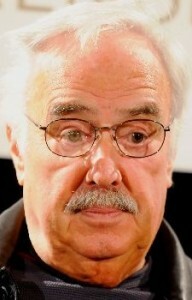 Sad to say, “consultants” such as Garry South always seem to land upright on their feet. As far as I’m concerned, South is to Democrats, what a lamprey is to a trout.